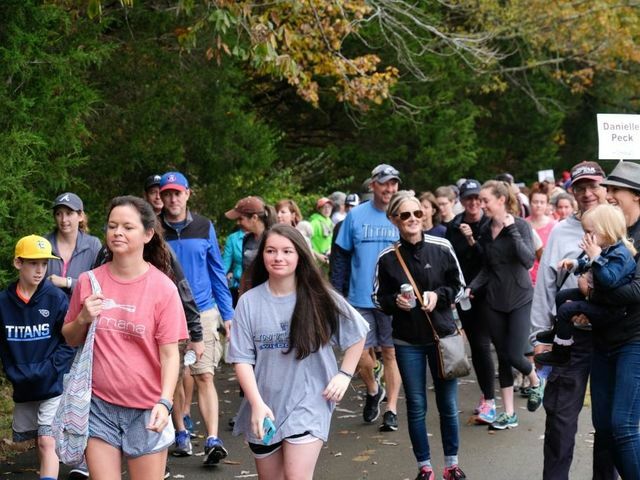 Safe Haven Family Shelter is gearing up for our 14th annual Hike for the Homeless, a Nashville favorite for its heavy dose of outdoor fun, friends, family and food. This pet and stroller friendly event includes hiking on two paved trails, food, live music and children's activities. The hike will take place at Edwin Warner Park picnic shelters 9 and 11 on Saturday, November 10, 2018. Registration begins at 9 a.m., with hikers hitting the trail at 10 am. This event is FREE and open to the public. There is no entry fee or minimum donation. Participants are encouraged to team up and fundraise to support Safe Haven Family Shelter. The suggested goal for a team of 10 is $1,000, but donations of any amount are welcome and make a big difference! Hikers who donate $25 or more will receive one Hike for the Homeless t-shirt. The Hike for the Homeless benefits Safe Haven Family Shelter, one of the only shelter-to-housing programs of its kind that keeps families experiencing homelessness together.